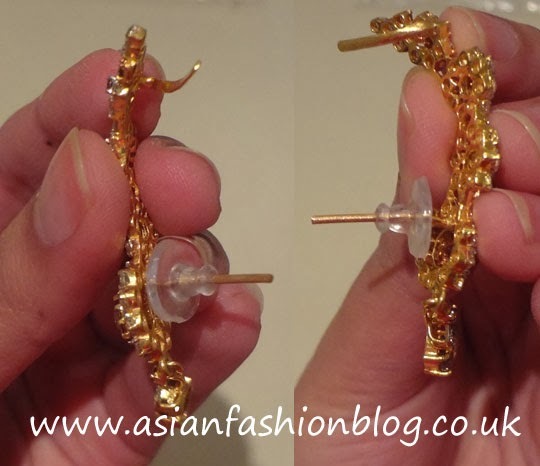 Asian Fashion Blog: Jewellery Trend: ear cuff earrings, too edgy for an asian wedding? Jewellery Trend: ear cuff earrings, too edgy for an asian wedding? 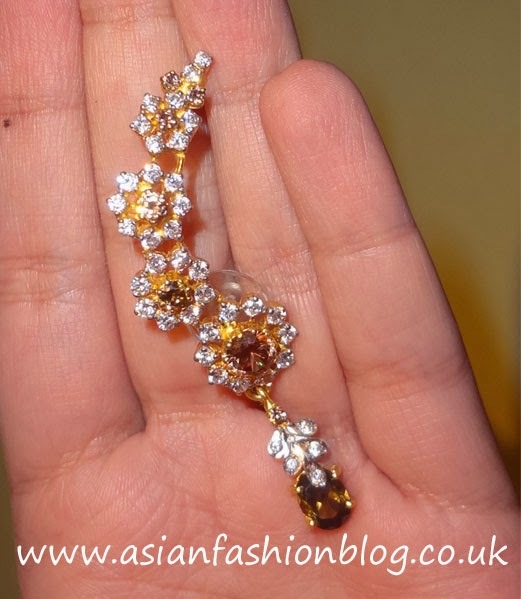 Last weekend I attended my first asian wedding of the year, wearing my newest accessory - ear cuff earrings! Firstly, I was a little unsure about whether they would look good with an asian outfit (as I'd only really seen them worn with dresses before). Secondly, I wasn't sure about how this style of earring would look when worn with my glasses (I've been off contact lenses for a while now!). I wasn't looking to spend too much money on them, knowing that places like Asos and Claire's Accessories sold these for as little as £4.50, and not being sure how long this trend would last. I had a look on the high street and was very close to getting this pair, which were originally from Zara, and which I saw for sale on ebay. I happened to be with my mum when she made a recent visit to the gold shops on Wilmslow Road to have a few items repaired and some exchanged. I was there to help her decide what to have exhanged and couldn't believe it when after a bit of browsing, the assistant pulled out a tray including three styles which looked like ear cuff style earrings. On the day I wore these, I didn't end up wearing one of my more traditional asian outfits, instead I opted for the jumpsuit I wore to the Asian Media Awards. I had my hair blow-dried with my parting slightly more to one side to show off one ear a bit more, and my make-up done at the Bobbi Brown counter at House of Fraser. In terms of wear-ability, although these were quite heavy, once I'd got the clip in place correctly, they stayed in position as they should. I did have a small problem at the end of the night though...because the gold on that part of the earring is malleable/bendable, the clip on one of the earrings broke off! That's not put me off though, I'm going to get them repaired and I will most likely be wearing these at all the weddings I have in my diary this year! 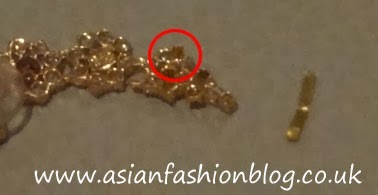 Is this style of earring on your wishlist? and would you wear these to an asian wedding? Check out my Pinterest board for more ear cuff inspiration!